A flair for imperfections | Can we see Mesolithic kids? A good article on PHYS.ORG by Karen Anne Okstad (15-Apr-2013) on one of my favourite subjects: childhood and apprenticeship in the Mesolithic—if not throughout prehistory. Ferguson, J. 2008. The when, where, and how of novices in craft production. Journal of Archaeological Method and Theory 15(1), 51–67. Finlay, N. 2008. Blank Concerns: Issues of Skill and Consistency in the Replication of Scottish Later Mesolithic Blades. Journal of Archaeological Method and Theory 15(1), 68–90. Ingold, T. 1993. Technology, Language, Intelligence: a consideration of basic concepts. In K. Gibsen and T. Ingold (eds), Tools Language and Cognition in Human Evolution, 449–472. Cambridge: University Press. Johansen, L. and Stapert, D. 2005. Stone Age Kids and their Stones. In M. Sørensen and P. Desrosiers (eds), Technology in Archaeology. Proceedings of the SILA Workshop. Publishing from the National Museum Studies in Archaeology and History Vol. 14. Copenhagen. Kamp, K.A. 2001. Where Have All the Children Gone? : The Archaeology of Childhood. Journal of Archaeological Method and Theory 8(1), 1–34. Moore, J. and Scott, E. (eds). 1997. Invisible people and processes : writing gender and childhood into European archaeology. London; New York: Leicester University Press. Sternke, F. 2005. All are not hunters that knap the stone – a search for a woman’s touch in Mesolithic stone tool production. In N. Milner and P. Woodman (eds), Mesolithic studies at the beginning of the 21st century, 144–163. Oxford: Oxbow. Sternke, F. and Sørensen, M. 2009. 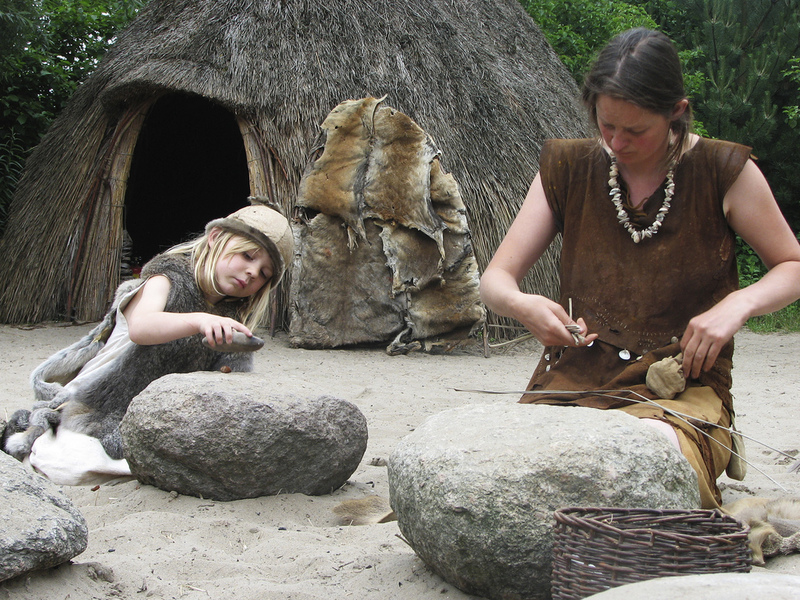 The Identification of Children’s flint knapping products in Mesolithic Scandinavia. In S. McCartan, R. Schulting, G. Warren and P. Woodman (eds), Mesolithic Horizons, 722–729. Oxford: Oxbow. This entry was posted in Hunter-gatherer-fisher, Lithic analysis, Mesolithic, Sites and finds and tagged Apprentice, Archaeology, Children, Mesolithic, Stone Age, Stone tool, University of Stavanger by Spencer Carter. Bookmark the permalink.